Most major institutions, such as banks, insurance and credit card companies, can be trusted to handle your data with utmost privacy. Unfortunately though, we need to share our data with less secured businesses. Even just booking into a small hotel or B&B often requires you to hand over your name, address, date of birth, credit card details and sometimes even passport number. These pieces of information are more than enough to steal your identity, start a line of credit, and access many of your vital services. You can often only hope your chosen hotel handles your information as well as your bank does. 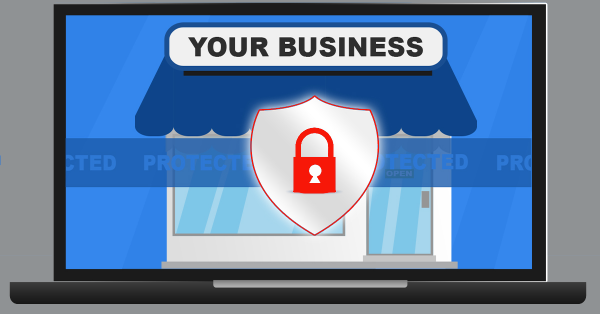 There is little you can do to change the ways most other businesses operate but you can improve your own businesses security and help protect your clients. You don’t need the financial might of a large corporate either. With a few simple tweaks and changes, you can minimize the chances of your business suffering a major data breach. By stepping up IT security, you can help to limit your liability, put your customer’s minds at ease and help give your company a competitive advantage. Should hackers attack, the work you do today will limit the damage and help you to weather any storm it may create. Do you really need to store all the information you keep? Carefully consider the value and need of each piece of personal information you collect in all transactions you make. Do you have a legitimate use for everything you ask for? Emails, addresses and contact numbers are useful for receipts and marketing, but additional data firms collect is often useless and wasted. Every piece of unnecessary data you hold represents additional value to both hackers and thieves. While you may be unable to use that stored data, hackers will find great value in gathering further personal information in any successful attacks. So keeping to a minimum the amount of data you store decreases your liability without adding any extra costs. Only allow people to access data they actually need to perform their job. Security problems often occur when employees have blanket privileges to access everything within the firm. Access restrictions should be related to the company structure. Low-level employees should be limited to only what is required for their role. Managers and other higher level staff members can then have more broader access. Physical access restrictions are critical too. Unattended servers, computers and mobile devices should require a password when left unattended. The way you treat any data you hold reflects the impact to your business of any sort of security breach. Do you know where your backups are and when they were last tested? Firms often first realise there are issues once a data breach or loss has occurred and by then it is definitely too late. Proper data care means regular and tested backups that are secure against fire, theft, or online hacks. Protecting your customers and your business is all about the smart application of IT in a cost-effective and efficient way. We can help you to lock down your business to protect the most valuable assets your business owns, your data. Contact us now on at 08 8326 4364 or support@dpcomputing.com.au. This entry was posted in Hardware, Managed IT, Proactive IT Support, Security and tagged adelaide, backups, client data, data, data leak, information, privacy, security, south australia by David Perkovic. Bookmark the permalink.